Satellite images appear to show a military base inside Saudi Arabia to be testing and possibly manufacturing ballistic missiles. A military base deep inside Saudi Arabia appears to be testing and possibly manufacturing ballistic missiles, experts and satellite images suggested on the weekend, according to The Associated Press. The satellite images, first reported by The Washington Post, focus on a military base near the town of al-Dawadmi, some 230 kilometers (145 miles) west of Riyadh, the Saudi capital. Jane's Defence Weekly first identified the base in 2013, suggesting its two launch pads appear oriented to target Israel and Iran with ballistic missiles the kingdom previously bought from China. Satellite images taken in November show what appear to be structures big enough to build and fuel ballistic missiles. An apparent rocket-engine test stand can be seen in a corner of the base - the type on which a rocket is positioned on its side and test-fired in place. Such testing is key for countries attempting to manufacture working missiles, experts say, according to AP. Michael Elleman, the senior fellow for missile defense at the International Institute for Strategic Studies in Washington, reviewed the satellite photos and said they appear to show a ballistic missile program. The Saudi kingdom in 2018 declared its intentions to pursue a non-military nuclear program, with plans to build 16 nuclear power plants over the next quarter century, in a bid to modernize the country’s infrastructure and reduce its own consumption of gasoline, freeing up more for export. 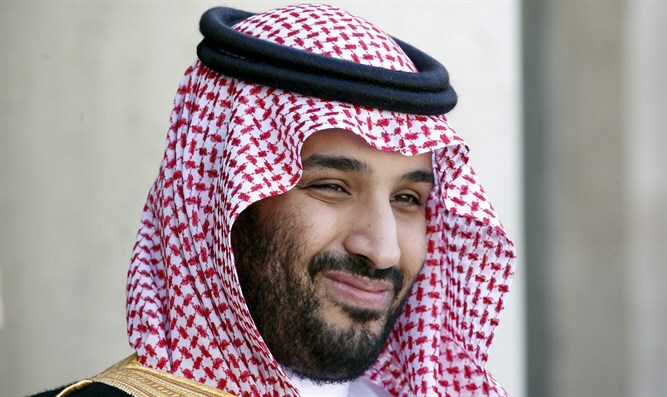 The kingdom later made headlines when Crown Prince Mohammed bin Salman told CBS that his country was prepared to pursue nuclear weapons if Iran is successful in obtaining an atomic arsenal. Saudi Arabia's Foreign Minister, Adel Al-Jubeir, reiterated last May that his country stands ready to build nuclear weapons if Iran restarts its nuclear weapons program. Saudi Arabia, which is Iran’s regional foe, repeatedly spoke out against the 2015 deal. During the negotiations between Iran and world powers, Saudi Arabia and other major Sunni states expressed concern over a deal which would allow Iran to produce nuclear weapons. Ultimately, however, Saudi Arabia's government announced that it welcomed the deal.